Mitt’s obsession with envy: a family history. It’s not quite right to say that the hundreds of millions of dollars Mitt Romney amassed as a private equity baron were the cause of his South Carolina drubbing. But they didn’t exactly help, either. Newt Gingrich trounced the former Massachusetts governor among just about every demographic group that might nurse a grudge against a slick quarter-billionaire. Romney only carried the most affluent and highly educated South Carolinians. Call it the tragic irony of the Romney campaign. For years, Romney has groped in vain for a way to show conservatives he’s really one of them. A few weeks ago, he finally found one—a red-faced fulmination against those dead-enders, like the current president, who resent other people’s wealth. “This country already has a leader who divides us with the bitter politics of envy,” he said after his New Hampshire victory. But, unfortunately for Romney, this may be the one year when cheerleading for the rich doesn’t even fly in a Republican primary. Of course, if it were just a matter of junking one message and embracing another, Romney wouldn’t have much of a problem. It would hardly be the first makeover the ostensible Republican front-runner has undergone. But in this case it’s not so easy. Romney’s deep suspicion of the jealous masses is arguably the most authentic thing about him. Like much of Romney’s actual worldview—as opposed to the one he brandishes for the purpose of winning Republican primaries—the origins of this particular nugget appear to lie with the father he idolized, a onetime governor of Michigan. George Romney was in many ways a progressive Republican, having bravely embraced the causes of civil rights, labor unions, and public education even as his party was turning away from them. But he was nonetheless a Republican—a deep believer in self-help, private initiative, and small government. And for him, the politics of envy were deeply personal. The elder Romney spent his early childhood in Mexico, where the Romney clan had fled a generation earlier to escape U.S. anti-polygamy laws. By the early twentieth century, the Romneys had begun to prosper. George’s father, Gaskell—who only had one wife—was an affluent carpenter with a thriving home-building business. But, in 1911, Mexico’s Mormon community found itself in the cross fire of a civil war. The Mormons proclaimed their neutrality; the rebels proclaimed their indifference. They first confiscated the Mormons’ horses—including George’s beloved pony, Monte—then came for their weapons. Before long, thousands of Mormons had fled back into the United States. Given Mitt’s close relationship with his father—according to The Boston Globe’s Scott Helman and Michael Kranish, his only real act of youthful rebellion was to fly home from college on weekends to see his future wife, Ann—it’s inconceivable that he wouldn’t have assimilated these lessons. In fact, persecution by jealous outsiders wasn’t just central to the Romney family narrative, it was a key feature of Mormon sociology. “I am a member of a religion that is among the most persecuted minority groups in our history,” George Romney once said. For several generations beginning in the mid-nineteenth century, the story of both the Romneys and Mormonism writ large was a cycle of poverty, followed by hard work and affluence, and then poverty again, as the Mormons fled their tormentors. Of course, as an explanation for the frustrations of the down-and-out, “envy” is more than a little condescending. Even if there are times when class envy really does drive human behavior—perhaps revolutionary Mexico was one—it’s far more plausible that the poor and disenfranchised simply want opportunity and economic security for themselves, not less of these things for others. Still, the elder Romney’s response to this slightly stunted analysis was admirably progressive. It was one of the reasons he favored foreign aid, an end to discrimination, and subsidized preschool and summer school. He was the model of a ’60s-era, liberal Republican. Romney fils, on the other hand, has responded to the same analysis in a strikingly different way. 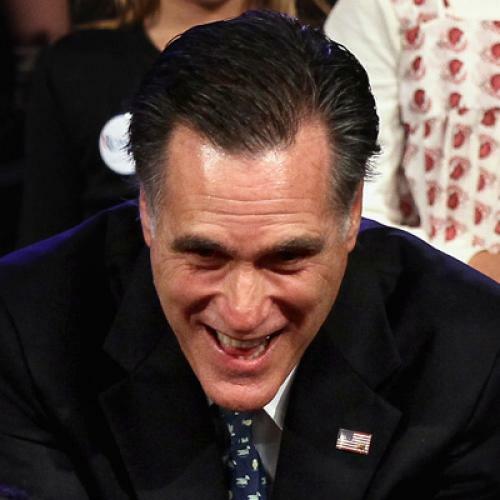 Like his father, Mitt Romney worries about those who would demonize wealth and success. But, whereas George sought to ease their plight, Mitt seeks to demonize the demonizers. It’s as though Mitt inherited all of his father’s noblesse, but none of the oblige. Noam Scheiber is a senior editor at The New Republic and a Schwartz Fellow at the New America Foundation. This article appeared in the February 16, 2012 issue of the magazine.